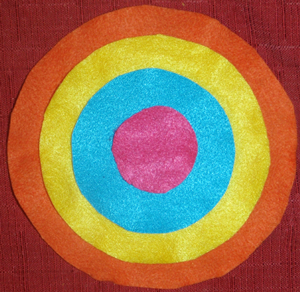 Today we will show you how to make a game that is like darts, but safer. 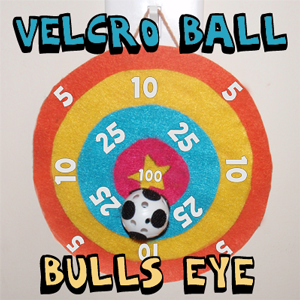 This is a Bulls-Eye Velcro Ball Tossing and Aiming game. All you need are a few things that are probably already in your house. Get a few small balls…at least 3. 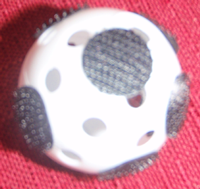 Glue the Velcro (the side that is scratchy) all over the ball…I used circle Velcro pieces that have adhesive on one side and Velcro on the other…this was easier than gluing for me. 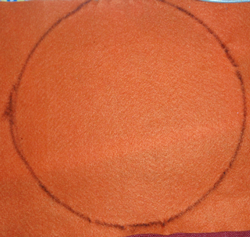 Get different sized round objects to trace perfect circles onto felt. Do this for all the different sizes and colors that you need. 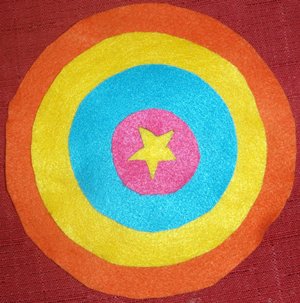 I did it with 4 different sizes and colors of felt. Glue them all together. 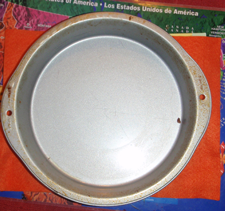 Cut out a start and paste it in the center. 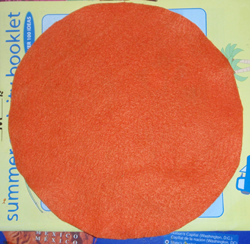 Glue the game to a piece of cardboard. 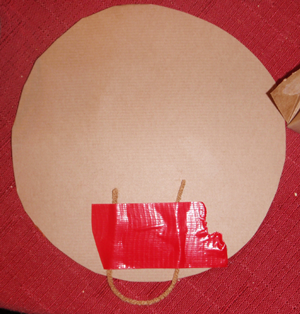 When it dries….cut out the circle along with the cardboard. This will keep the game strong. 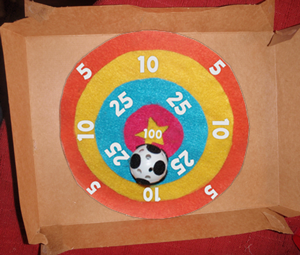 Also cut out felt number and put them on the game board. If you don’t have the time, just use a sharpie marker. Turn the game board around. Duct Tape (or other type of strong tape) a piece of string, ribbon, yarn, cord, or whatever to the back of the game board, in a loop. This is how you will hang your bullseye board to play with it. 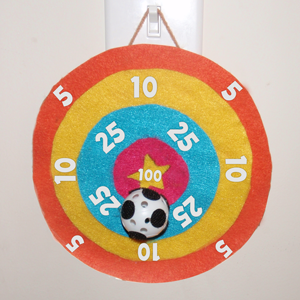 We hung our Velcro Bulls-Eye Ball Game on a Light Switch in our Dining room. 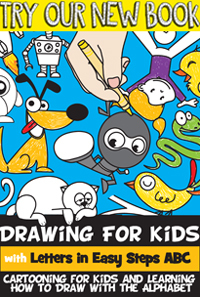 The kids love it and the cats have fun trying to attack the hanging balls.